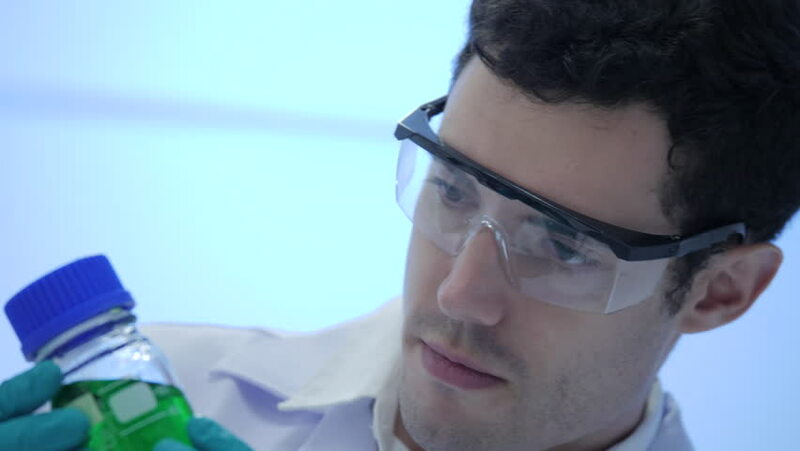 4k00:19Scientist writing molecular formula on glass wall in modern laboratory or medical center. Concept of science, testing development and lab industry. 4k00:19Biologist examines sample. Science, biology, ecology. Professional scientist wearing protective mask working with herb samples in his laboratory. Woman scientist looks at a perishing plant of soy.